Remember way back when I posted a guide to decorating your apartment with Joan Holloway style? 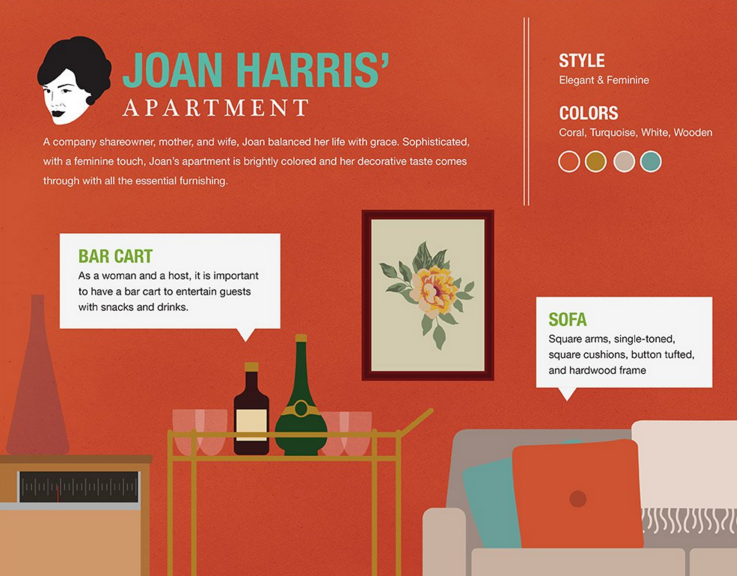 The stylish folks over at High Fashion Home were inspired by it when creating their infographic about interior design in the TV show Mad Men. I'm super flattered – and I love this infographic. Check it out below, then head over to my post Get the Look: Joan Holloway's Apartment for a heavy dose of coral + turquoise + feminine decor inspiration. Which Mad Men character's style would you like to steal for your living space?